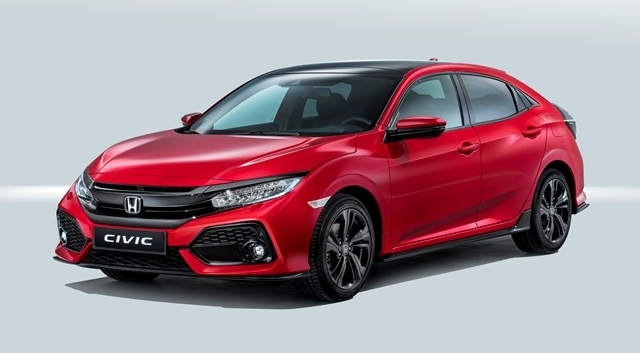 Honda have introduced a diesel to the Honda Civic engine line-up, completing the tenth generation of their iconic family hatch. Despite some negativity in the industry surrounding diesel at the moment, Honda are adamant that there is still a place in the market for their comprehensively revised 1.6l i-DTEC. Featuring cutting edge technology that sees CO2 emissions reduced to just 93g per 100km, the enhancements have made the new Civic one of the cleanest diesels available on the market at the moment. The incredible claimed fuel economy of 3.5l per 100km (80 miles per gallon) will surely make it an attractive option to consumers too, as will the annual motor tax bill of just €180. We took it for a spin last week and were impressed at the quiet refinement and low down torquey power that gives it a different character entirely from its petrol counterparts. Pushing out 120 PS, it feels enjoyably lively and that great Civic handling means it’s still one of the most engaging drives in the segment. The Honda Civic Diesel is available now at a starting price of €25,550 all cars registered before the 31st of March will receive a free Honda Civic Diesel Service Plan and one years free road tax.